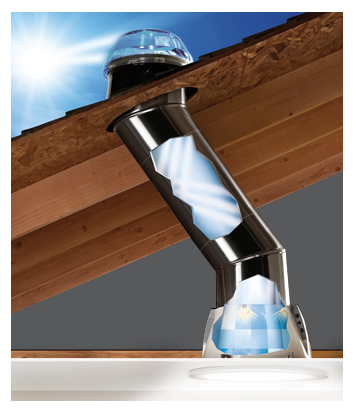 As the global leader in tubular daylighting devices, Solatube International perfected the capture and delivery of the sun's rays indoors where it was once thought impossible. 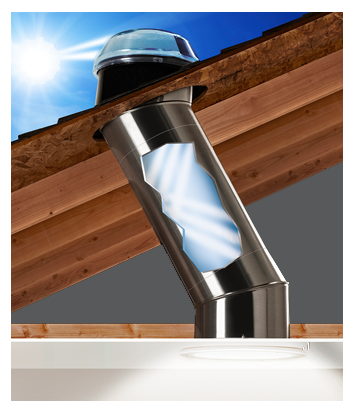 Using patented optical technologies, Solatube Daylighting Systems bring in natural light without the negatives associated with traditional skylights. No worries about heat gain, leaking, or fading furniture and fabrics. 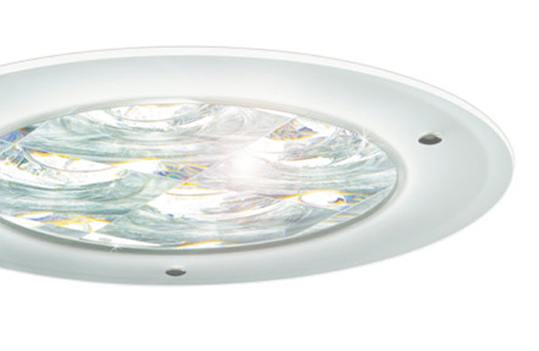 The Solatube 160 ISn is our most versatile product and is perfect for any size room. 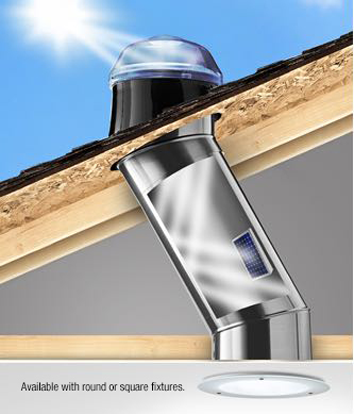 This daylighting system offers a built-in solar-powered nightlight that emits a soft glow. 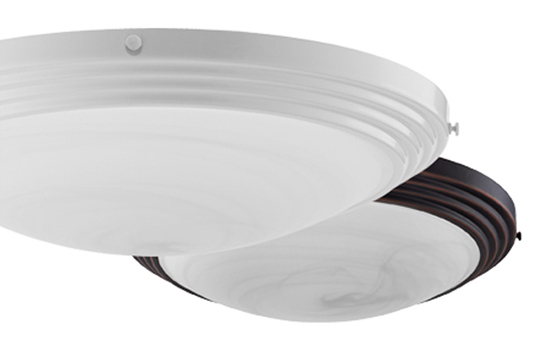 The 160 ISn can be outfitted with ventilation, dimming and other options for a customized lighting solution. Best of all, the 160 ISn system qualifies for a 30% federal tax credit on purchases and installation. Contact us for optional add-ons and decorative pricing. The Solatube 290 ISn features a larger tube to deliver brightness in bigger spaces. 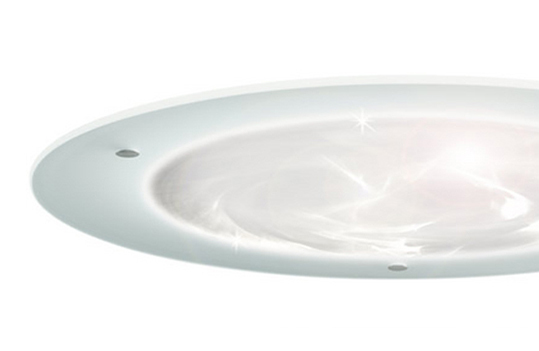 When you want less light, the optional dimmer lets you adjust daylight levels in just seconds. The built-in solar-powered nightlight emits just enough light to help you navigate in the dark. Bringing natural light into your home is more affordable than ever with the 30% federal tax credit available on purchase and installation. 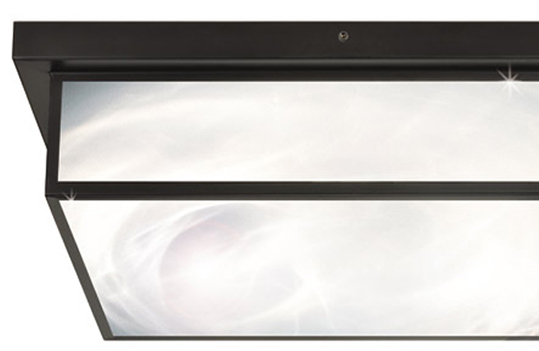 The Solatube 160 DS is easily adaptable for any size space, and can be outfitted with ventilation, dimming and nighttime lighting options for a lighting solution that fits your needs. 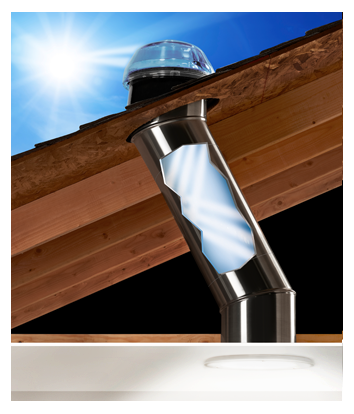 Get day and night lighting with the Solatube Smart LED System. Blending natural light with energy-efficient LED light, the system activates and deactivates the LEDs automatically as daylight levels change. 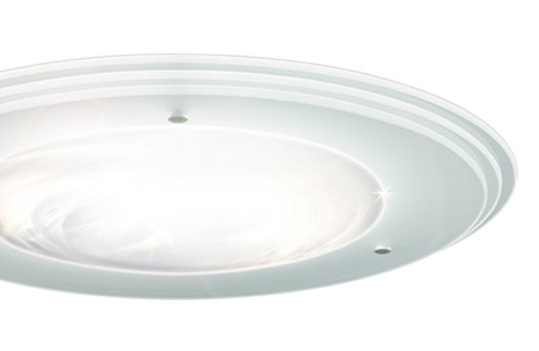 Save even more energy with the optional Occupancy Sensor. Make your system do more. With optional Solatube add-ons, you can add nighttime lighting, control humidity, adjust daylight levels, and maximize energy savings. They also integrate with the main daylighting system so they won't clutter your ceiling. 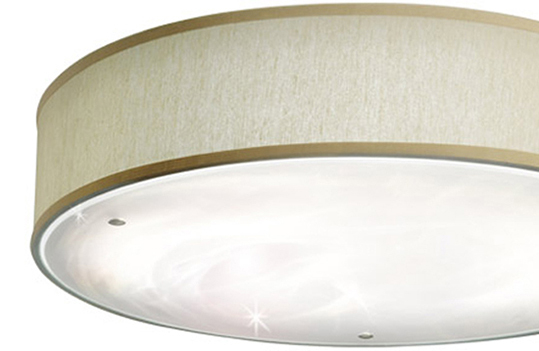 Command attention with the smooth, cascading lines and subtle beauty of AuroraGlo. Available in white or bronze. QuadraFrost delivers stunning daylight with symmetry and style. 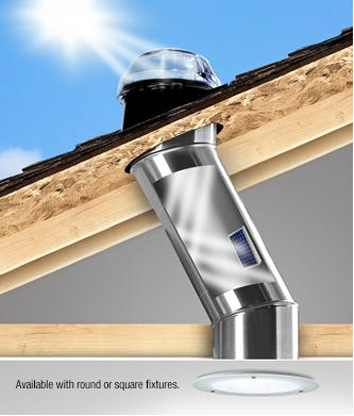 After you choose any of our Solatube Daylighting systems, we include a complimentary integrated solar electric nightlight. The built-in solar powered nightlight can be expertly installed in under two hours with no modifications to your structure. 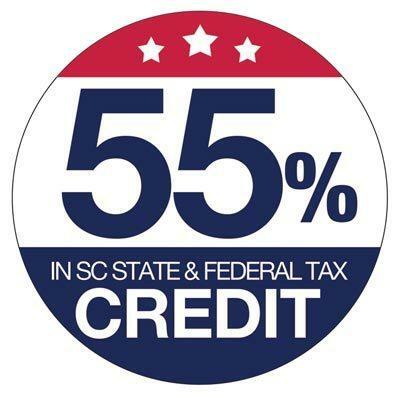 Once the entire Solatube Daylighting System is installed with your free solar electric nightlight, you qualify for a 25% South Carolina tax credit or a 30% federal tax credit. 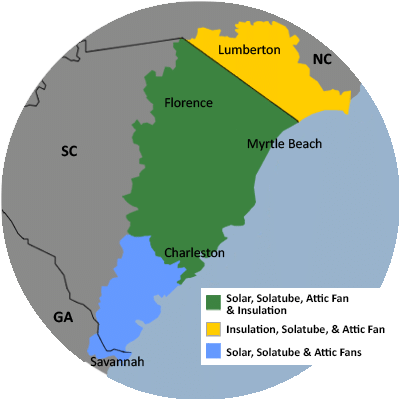 Each of our Solatube nightlights come with a 10-year manufacturers warranty and we provide professional installations in Savannah and Pooler, Georgia as well as in Calabash and Sunset Beach, North Carolina.